Talking Picnics with Chef and Chopped Judge Chris Santos | An Expert’s Field Guide to Eating on a Blanket. Use It Wisely. An Expert’s Field Guide to Eating on a Blanket. Use It Wisely. Chris Santos is the man behind popular NYC restaurants Beauty & Essex, the Stanton Social and Vandal. He’s also a judge on Food Network’s Chopped. 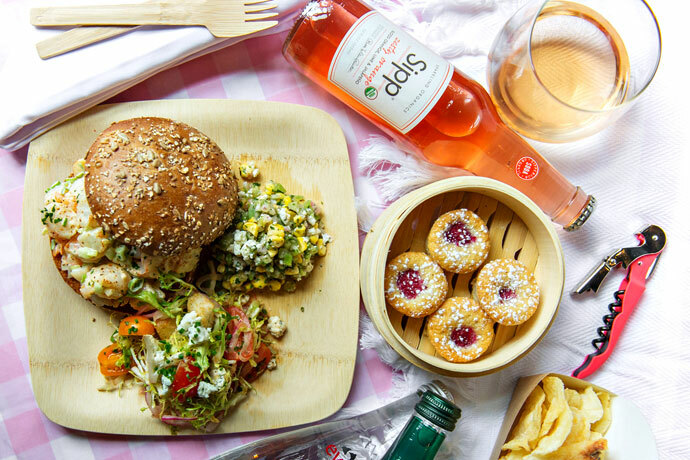 But more important to the matter at hand, he’s handling the food at the upcoming Pinknic, a rosé-themed picnic and music festival that’s coming to Governors Island July 9 and 10. If you’re attending, you can reserve a basket that’s stocked with things like a pork belly BLT or a shaved sirloin sandwich, plus sides like tomato panzanella salad and toasted orzo. Or you can bring a basket of your own. If you’re not attending, well, Fourth of July is approaching, so there’s still a better-than-zero chance you’ll find yourself eating on the ground in the very near future. Considering all of the above, we peppered Chef Santos with all the hard-hitting but necessary questions about food, drinks and blankets. What items make up your ideal picnic basket? A combination of salty snacks, something sweet and always some riff on cheese and crackers with delicious charcuterie. What should one drink (in addition to rosé, of course)? Water. Always have a hydration plan at a picnic. I like to freeze mine overnight so it stays cold all day. 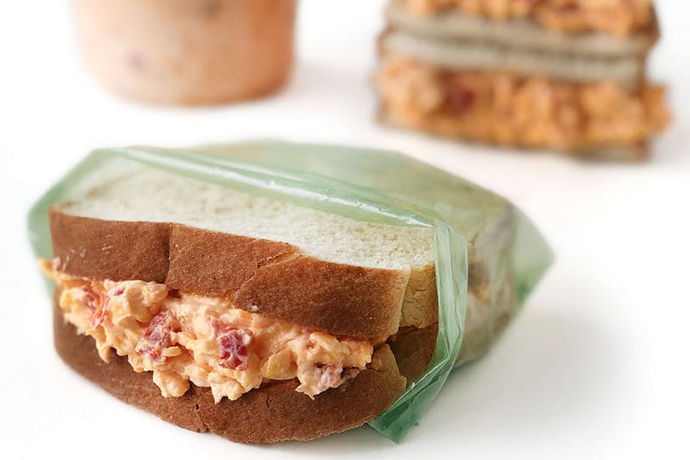 What are a couple items one should definitely not bring on a picnic? Preferred method of keeping cold things cold? I like to wrap everything supertight in sealed plastic containers and bury them in ice that is packed in sealed plastic bags. No mess. Should you have a different game plan if you’re picnicking with a date versus a group? For sure. For a date, you should think ahead and leave nothing to chance so you can just focus on the date. In a group setting, I think especially if everyone participates, you can wing it a little and improvise on the spot with what’s packed. Bringing a portable grill... good idea or bad idea? Great idea for groups of four or more. I don’t think it’s worth the trouble of transport for a picnic for two. Got a favorite basket or carrier of choice? I like small insulated coolers. Easier to keep everything cold. Actual glass, or paper and plastic? Paper and plastic, but high quality. I would say something supersoft, and then an extra blanket to bundle up with when you drift off into a blissful food coma at your picnic spot under a tree.